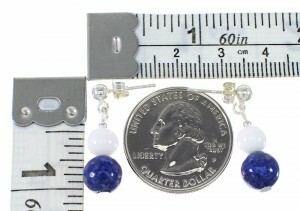 This is truly an outstanding pair of earrings that will make a great impression! 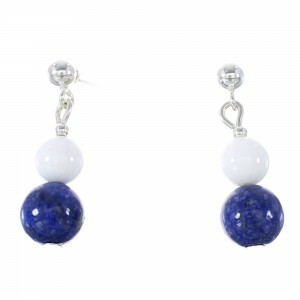 This piece of Native American jewelry is Navajo hand crafted out of genuine sterling silver, along with real Lapis and White Agate beads. 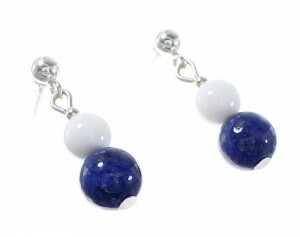 The earrings consist of: 2-mm silver round beads, 6-mm White Agate round beads, and 8-mm Lapis round beads.